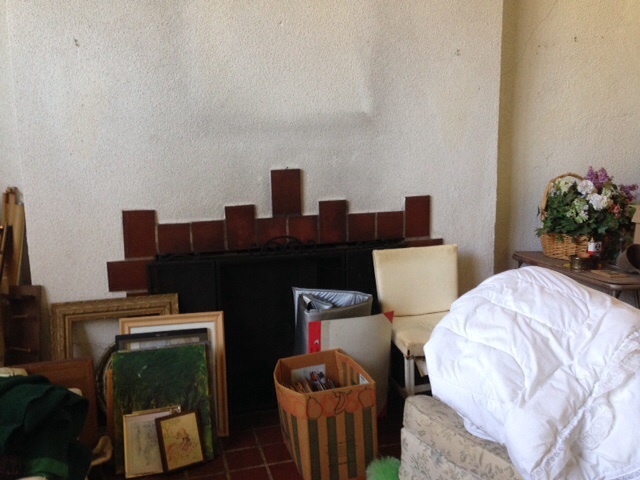 It was the room that sold us on the house; a room that oozed with character. . . if you could look past the worn-weary vintage furniture, badly stained carpet, horrible plaster walls, two radiators, and three decades of family memorabilia. We were smitten. 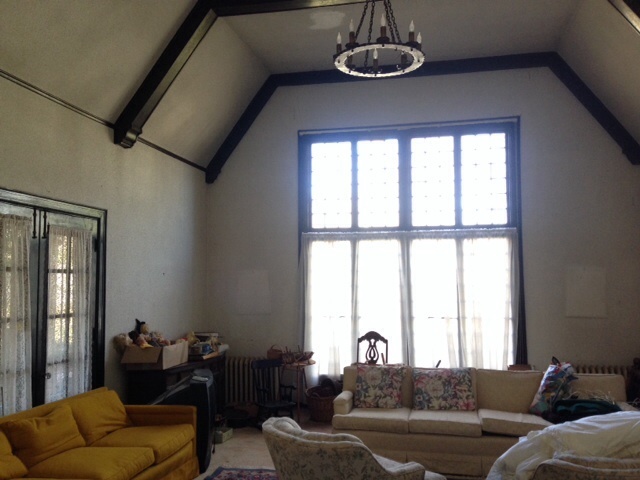 Our first view of the great room in our lovely, old home. 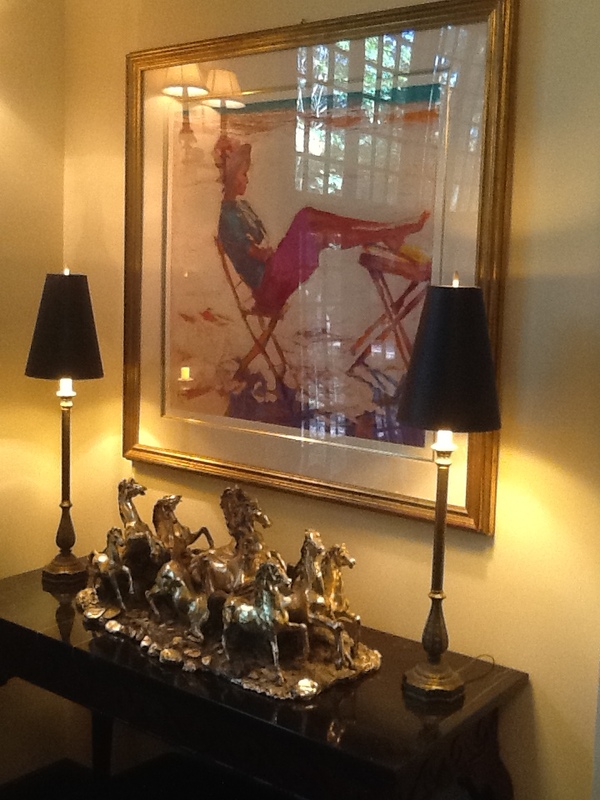 Our contractor studied the walls and ceiling for several weeks before deciding the best approach. Leaving the plaster meant adding no insulation, and a lifetime of cold nights. Tearing down the plaster meant taking down those beautiful beams, and who knew what trouble lurked within that job.The first drywall crew worked several hours before they walked off the job claiming it was too difficult. Fortunately, the next crew was more persistent, or brave. 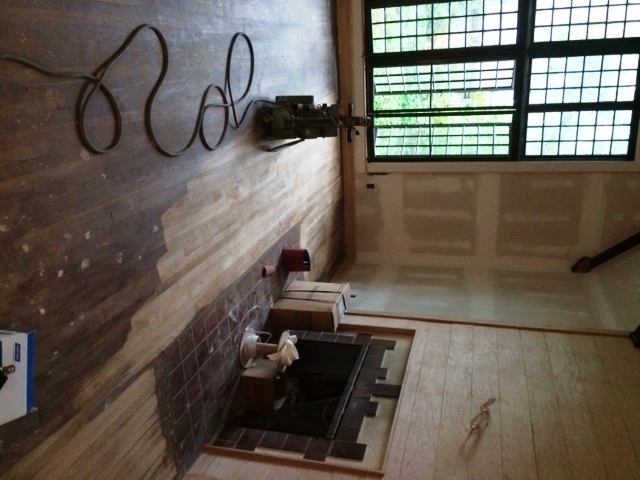 The old carpet was protecting beautiful hardwood floors. Miraculously, the windows opened. . . and closed properly. We sent the original wrought iron chandelier out to be thoroughly cleaned, and added a shiplap surround and mantle to the fireplace to give it the presence it deserved. 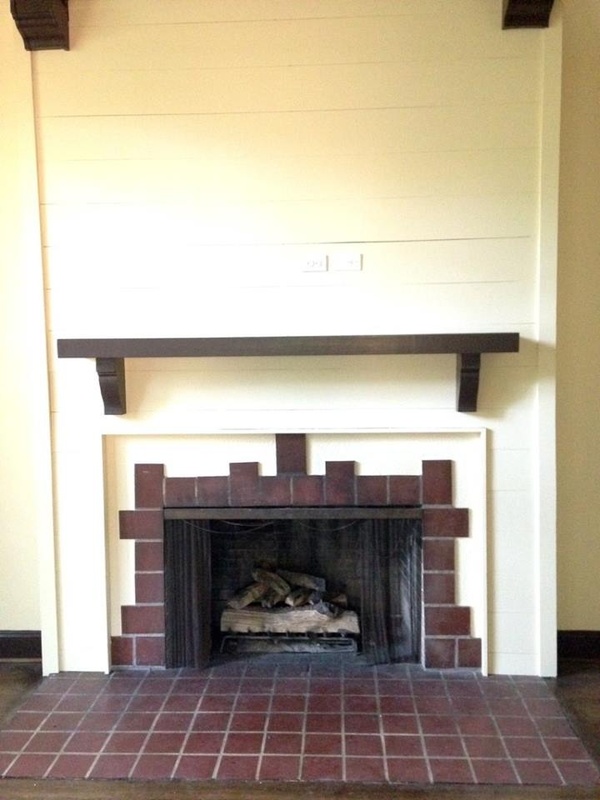 Shiplap and a mantle update the fireplace. We moved the piano, floor screen, and armoire back and forth across the room at least three times, but eventually all of the boxes were unpacked and the furniture fell into place. It’s no longer clear which room will finish top of our list as our favorite room of this house, but this will always be the room that defines this home.. . a great room. Previous Post Now Available: Ultra-Marathon Training on Venus! Thank you so very much. Your comments are so thoughtful and appreciated. All the best to you as well. It has been a journey, with a fair amount of work still ahead!! Hope all is well in the cove!